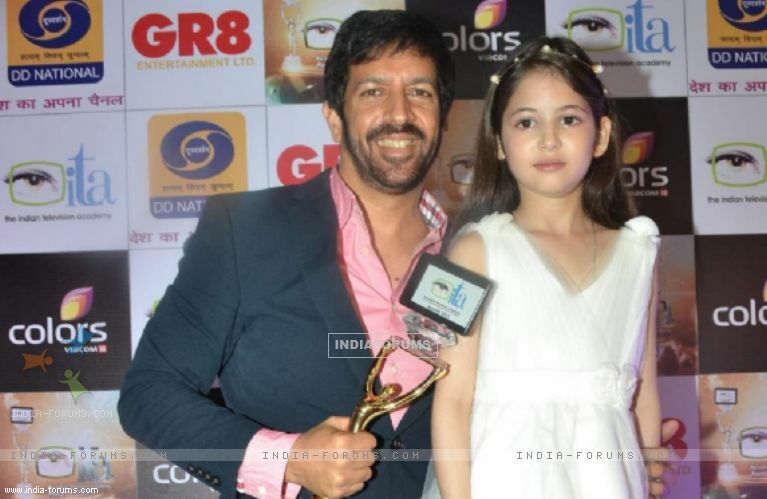 Salman Khan's "Bajrangi Bhaijaan" received an outstanding response while the film's director Kabir Khan and child artist Harshaali Malhotra managed to add star power to the 15th Indian Television Academy (ITA) Awards where they were presented with the Popular Director and Best Child Artist award. Hosted by Manish Paul, Bharti Singh and Krushna Abhishek, the awards show was held here on Sunday. Kabir was the special guest of the event. Actors Karan Patel, Radhika Madan and Anita Hassanandani were the big winners of the event. While "Yeh Hai Mohabbatein" stars Karan and Anita bagged the trophy for Romantic Hearthrob - Male and Popular Actor in a Negative Role - Female category, Radhika, who appears in "Meri Aashiqui Tumse Hi", took home the Best Newcomer (Female) award. Radhika also won the Popular Youth Icon award, which she shared with Shakti Arora. Ace choreographer-filmmaker Farah Khan was given the trophy for the Most Versatile Personality in Entertainment. The Popular Choice Award was bestowed on Hina Khan and Karan Mehra from "Yeh Rishta Kya Kehlata Hai", while "Kumkum Bhagya" lead pair Shabbir Ahluwalia and Sriti Jha won the trophy for Popular Couple - Drama. "Taarak Mehta Ka Ooltah Chashmah" was announced as the Popular Serial-Comedy; the Most Popular Reality Show of Indian Television award was given to "Bigg Boss", and the longest running TV show "CID" was declared as the Popular Thriller/ Horror Show. "Saath Nibhaana Saathiya" was chosen as the Popular Serial - Drama, and the Popular Serial- Special Mention trophy went to "Balika Vadhu". Manish Paul, best known for his hosting gigs on TV, took home the award for the Popular Entertainer, while Shilpa Shinde and Rohitashva Gaur clinched the trophy for the Popular Couple - Comedy. The trophy for Popular Actor in a Negative Role - Male was given to Mohit Malik. Mika Singh was given the award for the Popular Singer. Krushna Abhishek and Sudesh Lehri were chosen as the Popular Comedy-Duo, and popular Comedy-Creators award was given to Cyrus Broacha and Kunal Vijaykar. Popular chef and entrepreneur Sanjeev Kapoor was chosen for "Zaika-E-Hind" at the event, where actors like Karanvir Bohra, Siddharth Nigam, Priyanshu Jora, Sonia Balani, Gautam Gulati and Krystle D'Souza took to the stage to perform. The 15th Indian Television Academy (ITA) Awards will be aired on October 18 on Colors. 'MSG 2 - The Messenger' makers obtain John Doe order against piracy Ranbir - Kat's 'Jagga Jasoos' in trouble yet again!